Eat like Eric Lilliebridge! Get his EXACT bulking meal plan that took him from 125kg/275lbs body weight right up to 140kg/308lbs and saw him take out multiple World Records. Gaining size isn’t easy. It takes consistency and work but with Eric’s tips and tricks watch your physique transform! 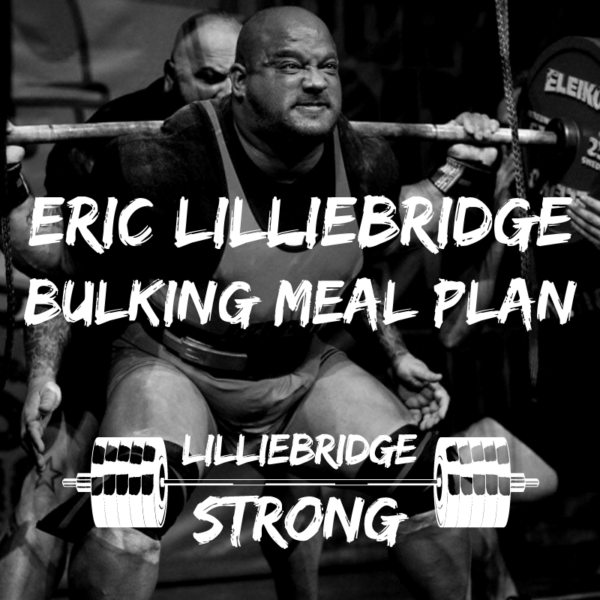 The Eric Lilliebridge Bulking Meal Plan is downloadable on PDF from your order receipt.